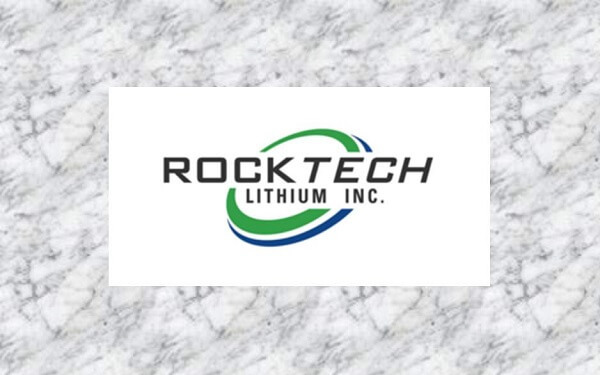 VANCOUVER, Oct. 3, 2018 /CNW/ – Rock Tech Lithium Inc. (the “Company” or “Rock Tech”) [(TSX-V: RCK) (Frankfurt: RJIB) (WKN: A1XF0V)], at the request of the Investment Industry Regulatory Organization of Canada (“IIROC”), clarifies certain statements made in a news release distributed on October 2, 2018, disclosing the results of a Preliminary Economic Assessment (“PEA”) at its flagship 100%-owned Georgia Lake lithium property in the Thunder Bay Mining District of Northwest Ontario, Canada. The news release included a reference to Earnings Before Interest, Taxes, Depreciation and Amortization (“EBITDA”) which is a non-International Financial Reporting Standards (“IFRS”) financial measure. For clarification, the average annual Net Income from the project is estimated to be $39.9 million. While the Company did not include all of the inferred resources delineated on the property, a portion was included in the PEA. The PEA is preliminary in nature, that it includes inferred mineral resources that are considered too speculative geologically to have the economic considerations applied to them that would enable them to be categorized as mineral reserves, and there is no certainty that the PEA will be realized. The PEA includes the results of an economic analysis of mineral resources, mineral resources that are not mineral reserves do not have demonstrated economic viability. Statements included in this announcement, including statements concerning our plans, intentions and expectations, which are not historical in nature are intended to be, and are hereby identified as, “forward‐looking statements”. Forward-looking statements may be identified by words including “anticipates”, “believes”, “intends”, “estimates”, “expects” and similar expressions. The Company cautions readers that forward‐looking statements, including without limitation those relating to the Company’s future operations and business prospects, are subject to certain risks and uncertainties that could cause actual results to differ materially from those indicated in the forward-looking statements.